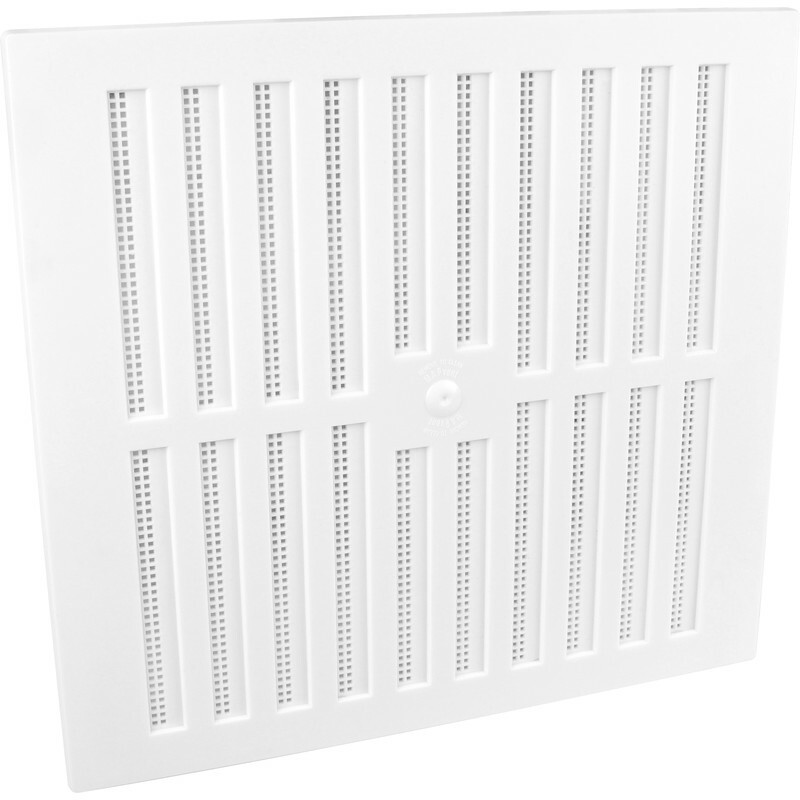 Adjustable Vent 9" x 9"
Adjustable Vent 9" x 9" is rated 4.6 out of 5 by 17. Rated 4 out of 5 by RazaM from Simple to install, medium strength, great price Perfectly fit the triple brick hole. Fairly easy to fit, one screw hole in each corner of the wall plate, it has a small and large hole allowing you to use screws of your choice (very smart). Front sliding section can be easily removed with the technique given in the instructions for cleaning. Rated 5 out of 5 by Mike26 from Excellent Product Have a static caravan holiday home in Scotland. Nine permanent air vents makes it hard to keep warm. Fitted these vents easily and had instant improvement. Full control of ventilation at a great price. Rated 5 out of 5 by Turts007 from Air vents Bought the air vents for my shed. They work perfectly giving plenty of ventilation. Rated 5 out of 5 by Heilan lassie from Great value Bought 12 and they’re exactly what I wanted. Easy to fit and look good. Rated 5 out of 5 by nannybank from Very efficient service Parcel arrived the next day and was as described. Very impressed with the easy to navigate website.